Bridge, Mark. 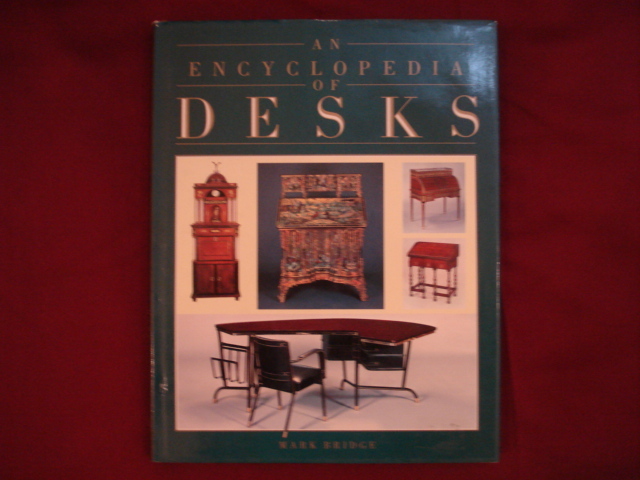 An Encyclopedia of Desks. Photo available. Secaucus. Wellfleet. 1988. 4to. Hard cover. First edition. Illustrated in black, white and color. Fine copy in fine dust jacket (in mylar). Bridgeman, Harriet (ed). 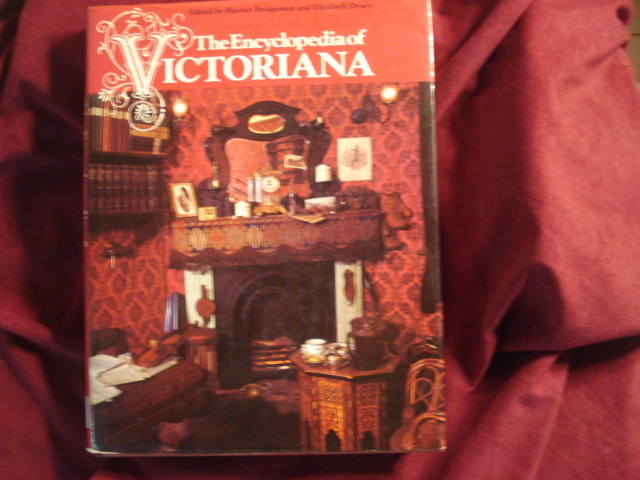 The Encyclopedia of Victoriana. Photo available. New York. Macmillan. 1975. 4to. Hard cover. First American edition. Illustrated in black, white and color. Fine copy in fine dust jacket (in mylar). 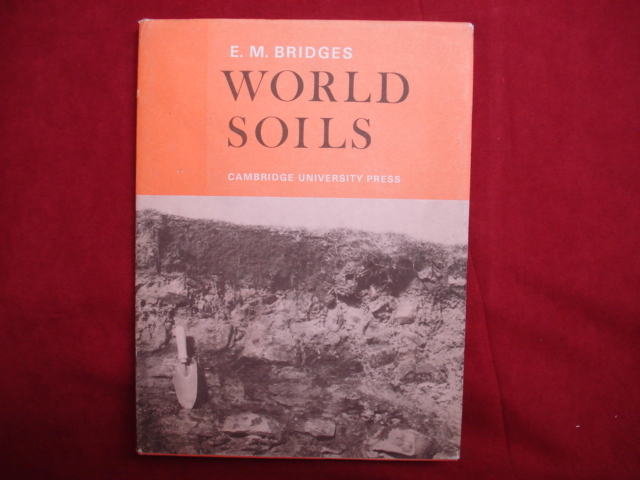 Bridges, E.M. World Soils. Photo available. Cambridge. University Press. 1970. Octavo. Hard cover. First edition. Illustrated. Fine copy in fine dust jacket (in mylar). Bridges, Herb. Gone With the Wind. The Definitive Illustrated History of The Book, The Movie, and The Legend. Photo available. New York. Fireside. 1989. 4to. Soft cover. Reprint. Illustrated in black, white and color. Fine copy. Bridgewater, Alan & Gill. 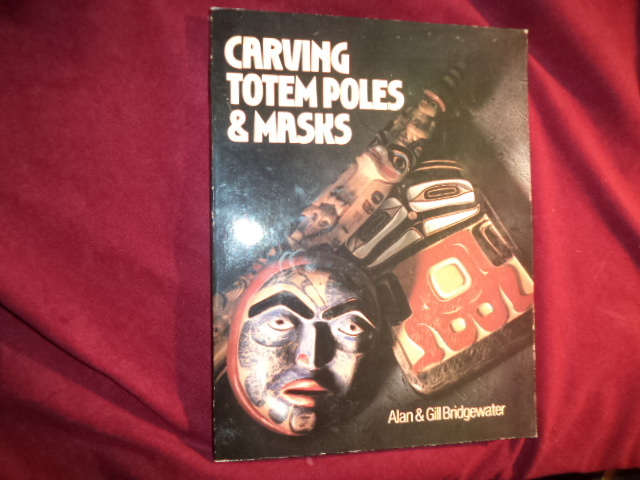 Carving Totem Poles & Masks. Photo available. New York. Sterling. 1991. 191 pps. 4to. Soft cover. Illustrated in black, white and color. Important reference work. Fine copy. Bridgman, George B. The Book of a Hundred Hands. Photo available. New York. Dover. 1971. Octavo. Soft cover. First edition thus. Illustrated. Fine copy. Bridgman, George B. 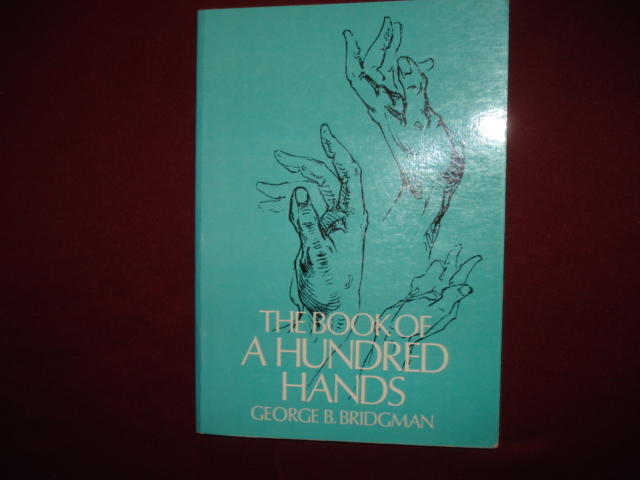 The Book of a Hundred Hands. Photo available. New York. Dover. 1962. Octavo. Soft cover. First edition thus. Illustrated. Important reference work. Fine copy. 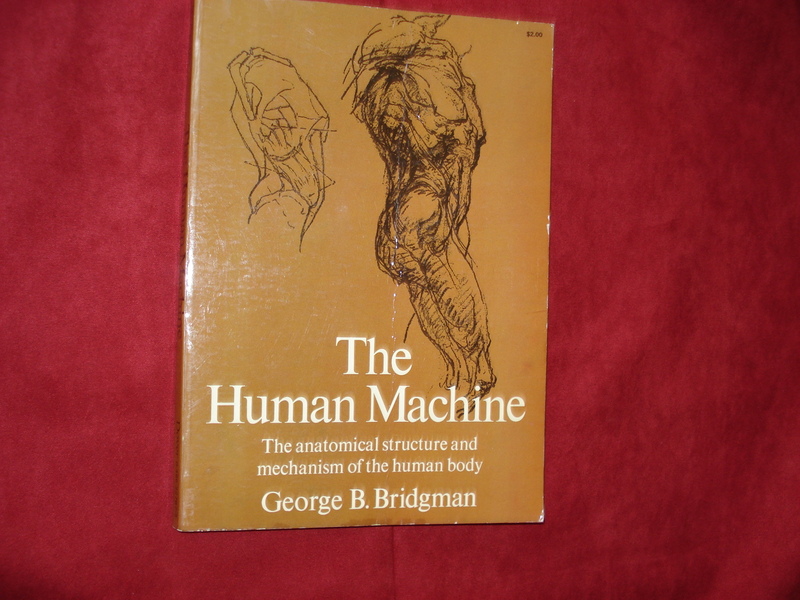 Bridgman, George. The Human Machine. The Anatomical Structure and Mechanism of the Human Body. Photo available. New York. Dover. 1972. Octavo. Soft cover. Reprint. Illustrated. Near fine copy (very light shelf wear). Bridwell, Norman. Clifford's Manners. Photo available. New York. Scholastic. 1986. Octavo. Hard cover. First edition. Illustrated in black, white and color. Fine copy. Briggs, Mike. 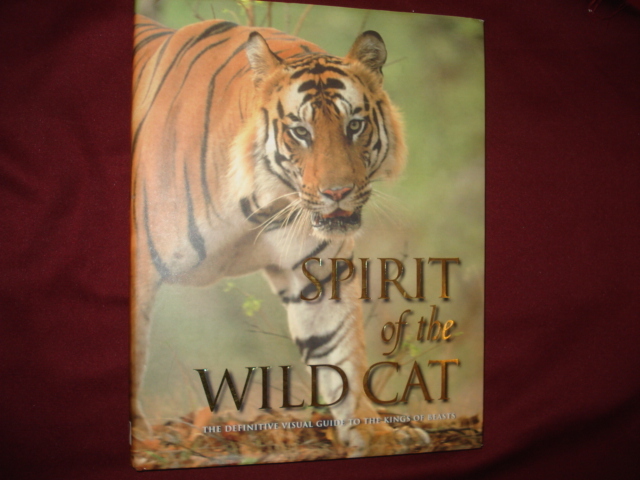 Spirit of the Wild Cat. Photo available. Bath. Parragon. 2006. 4to. Hard cover. First edition. Illustrated in black, white and color. Fine copy in fine dust jacket (in mylar). Briggs, Walter. Without Noise of Arms. The 1776 Dominguez-Escalante Search For a Route From Santa Fe to Monterey. Photo available. Flagstaff. Northland Press. 1976. 212 pps. Oblong octavo. Hardcover. First edition. Contribution by Gregory C. Crampton. Illustrated in black, white and color by Wilson Hurley. Fine (owner name on end paper) copy in fine dust jacket (in mylar). Brighton, Catherine. Mozart. Scenes from the Childhood of the Great Composer. Photo available. New York. Doubleday. 1990. Octavo. Hard cover. First edition. Illustrated in black, white and color. Fine copy in fine dust jacket (in mylar). Brighton, Raymond A. They Came to Fish. 2 volumes. A Brief Look at Portsmouth's 350 Years of History: It's Local and World-Wide Involvements and the People Concerned Through the Eyes of a Reporter. Photo available. Dover. Randall/Winebaum Enterprises. 1979. 380 & 503 pps. Octavo. Soft cover. First edition. Two volumes. Index. Illustrated. Important reference work. Fine copies. Brigidi, Stephen. Mario Giacomelli. Untitled 32. Photo available. Carmel. The Friends of Photography. 1983. 4to. Soft cover. First edition. Illustrated. Important reference work. Fine copy. Brillat-Savarin, Jean Anthelme, M.F.K. Fisher. The Physiology of Taste or, Meditations On Transcendental Gastronomy. Photo available. New York. Heritage Press. 1949. 471 pps. Octavo. Decorated hard cover. First edition thus. Translation by M.F.K Fisher. Illustrated by Sylvain Sauvage. Fine copy. Brimelow, Peter. The Worm in the Apple. How the Teacher Unions are Destroying American Education. Photo available. New York. HarperCollins. 2003. Octavo. Hard cover. First edition. Fine copy (light stain on bottom edge) in fine dust jacket (in mylar). Brimhall, Jack. 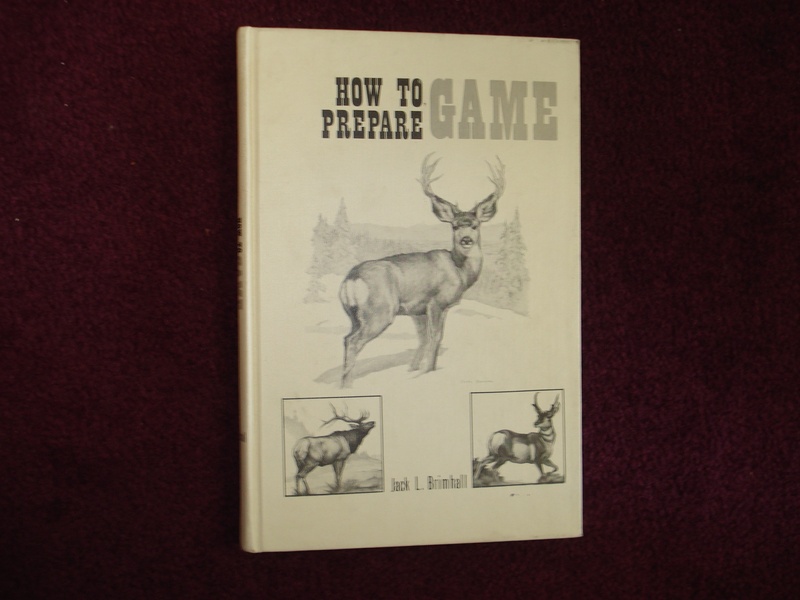 How to Prepare Game. Photo available. Salt Lake City. Deseret. 1964. Octavo. Decorated hard cover. First edition. Illustrated. Fine copy. Bringmann, Wolfgang G. (ed). 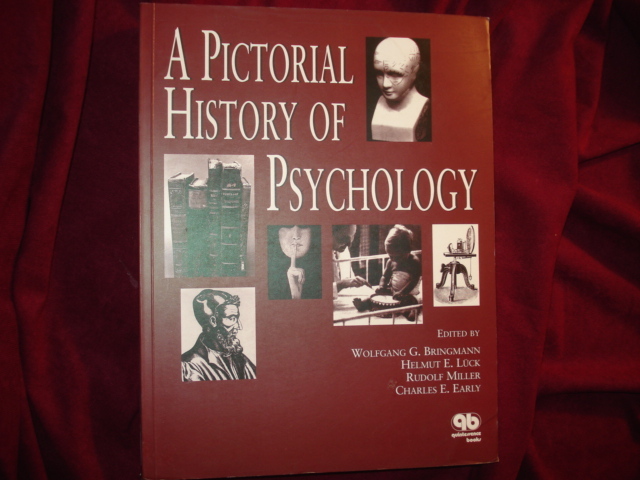 A Pictorial History of Psychology. Photo available. Chicago. Quintessence Publishing. 1997. 4to. Soft cover. First edition. Illustrated. Fine copy. Brininstool, E.A. Troopers with Custer. Historic Incidents of the Battle of Little Big Horn. Photo available. New York. Bonanza. 1952. 343 pps. Octavo. Hardcover. Reprint. Illustrated. Important reference work. Fine copy in fine dust jacket (in mylar). Brininstool, E.A. 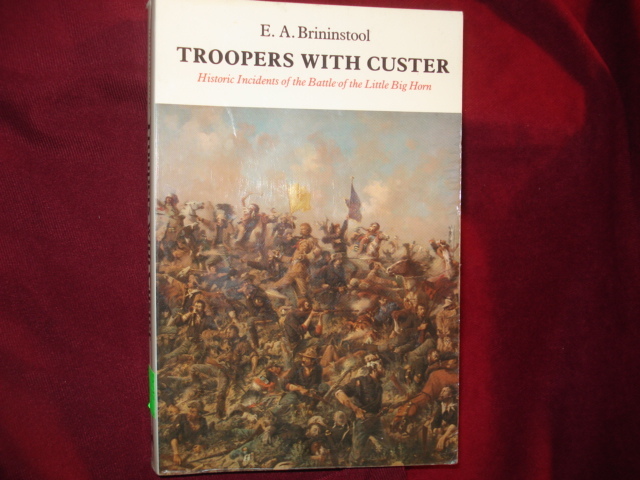 Troopers with Custer. Historic Incidents of the Battle of the Little Big Horn. Photo available. Lincoln. University of Nebraska Press. 1989. Octavo. Soft cover. Reprint. Illustrated. Fine copy. Brink, Carol Ryrie. Caddie Woodlawn. Photo available. New York. Macmillan 1935. 192 pps. Octavo. Hardcover. Reprint. Illustrated. Fine copy in good dust jacket (spine faded, light stain). Brinkley, Douglas and Ronald J. Drez. Voices of Valor. D-Day: June 6, 1944. With CDRom. Photo available. New York. Bulfinch. 2004. 4to. Hard cover. First edition. Illustrated. With 2 CDs. Fine copy in fine dust jacket (in mylar). Brinkley, Douglas G. & Stephen E. Ambrose. The Mississippi and the Making of an Nation. From the Louisiana Purchase to Today. Photo available. Washington. National Geographic. 2002. 4to. Gilt decorated hard cover. First edition. Illustrated in black, white and color. Fine copy. Brinkley, Douglas. The Great Deluge. Hurricane Katrina, New Orleans, and the Mississippi Gulf Coast. Photo available. New York. Harper. 2007. Octavo. Soft cover. Illustrated in black, white and color. Fine copy. Brinkley, Douglas. The Great Deluge. 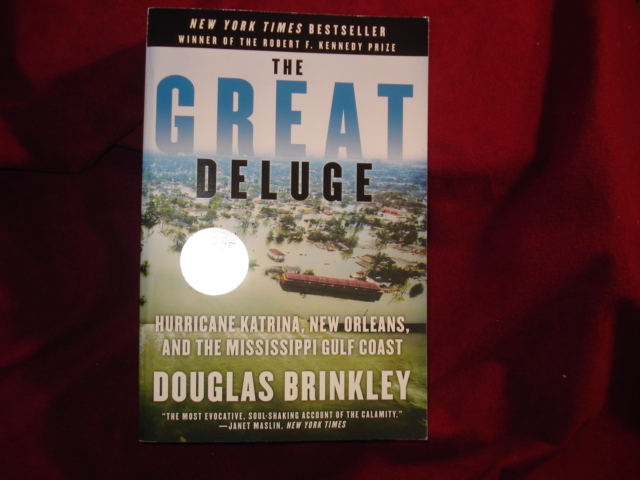 Hurricane Katrina, New Orleans, and the Mississippi Gulf Coast. Photo available. New York. Harper. 2006. Octavo. Soft cover. Illustrated. Fine copy.